Remove the right front wheelhouse liner. Refer to Front Wheelhouse Liner Replacement. Remove the upper intake air duct plastic fastener (1). 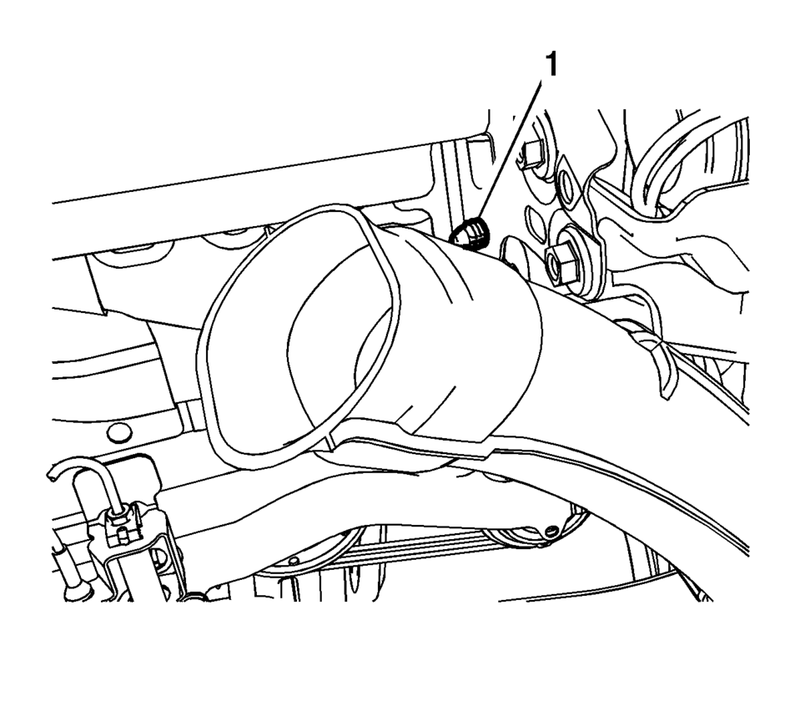 Pull the lower portion of the intake air duct outward to release the duct from the rubber mounting grommet (1). 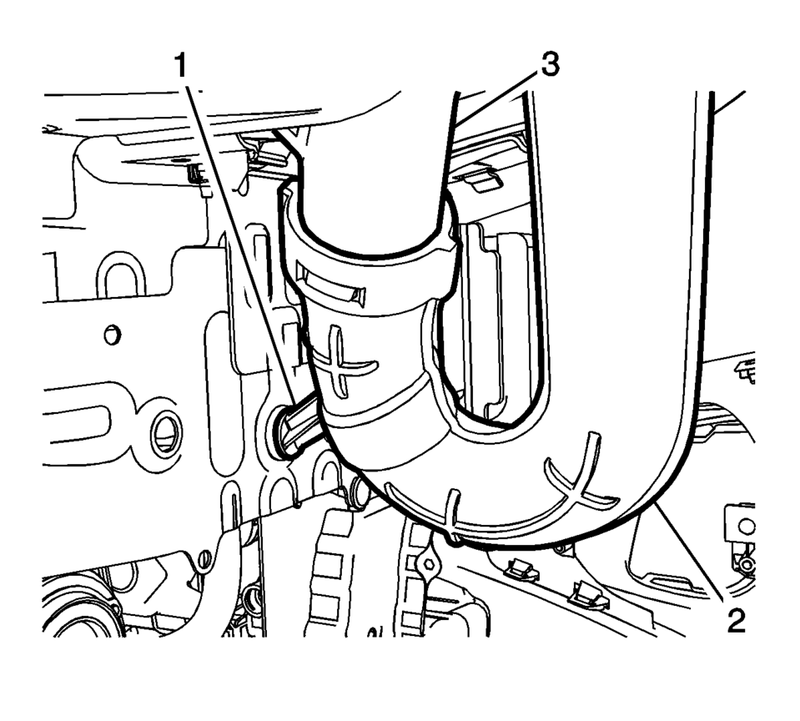 Pull downward to separate the lower portion of the intake air duct (2) from the upper duct (3). Attach the lower portion of the intake air duct (2) to the upper duct (3). Attach the lower portion of the intake air duct to the rubber mounting grommet (1). Install the upper intake air duct plastic fastener (1) to the body bracket. Install the right front wheelhouse liner. Refer to Front Wheelhouse Liner Replacement.